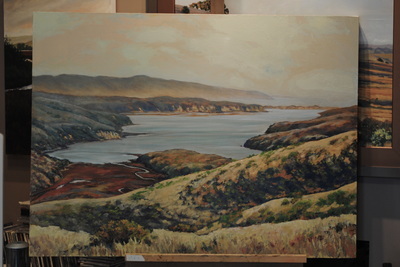 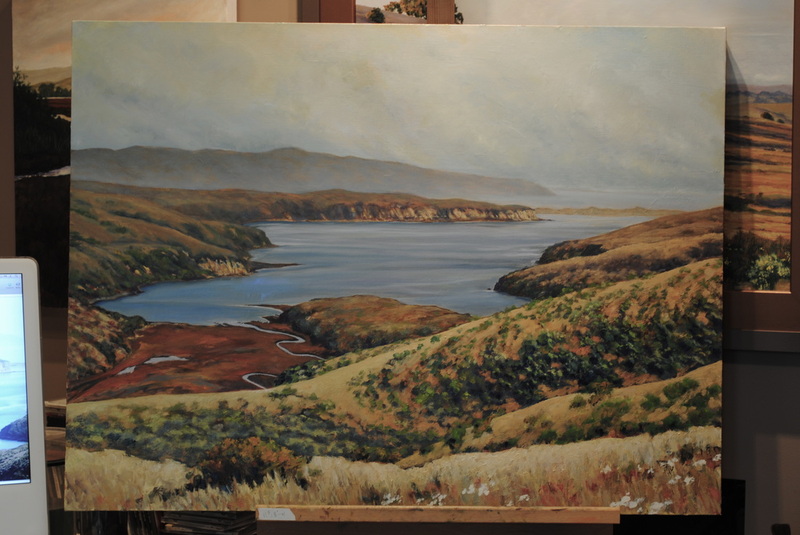 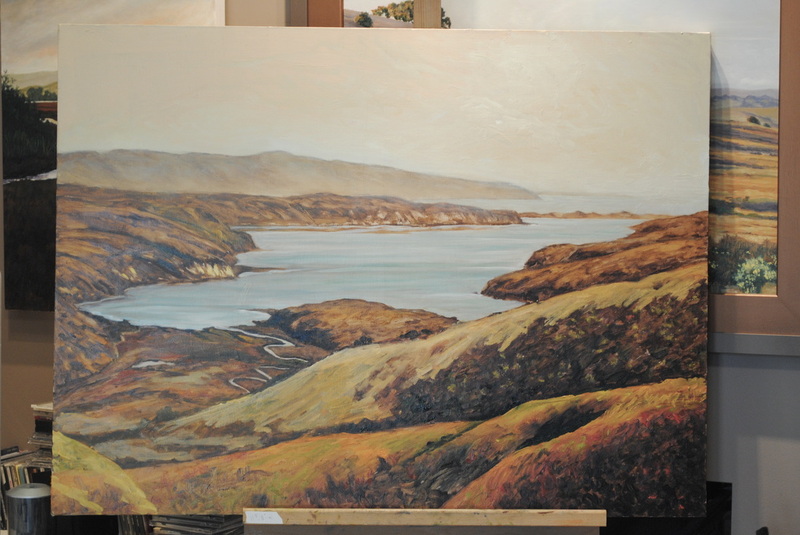 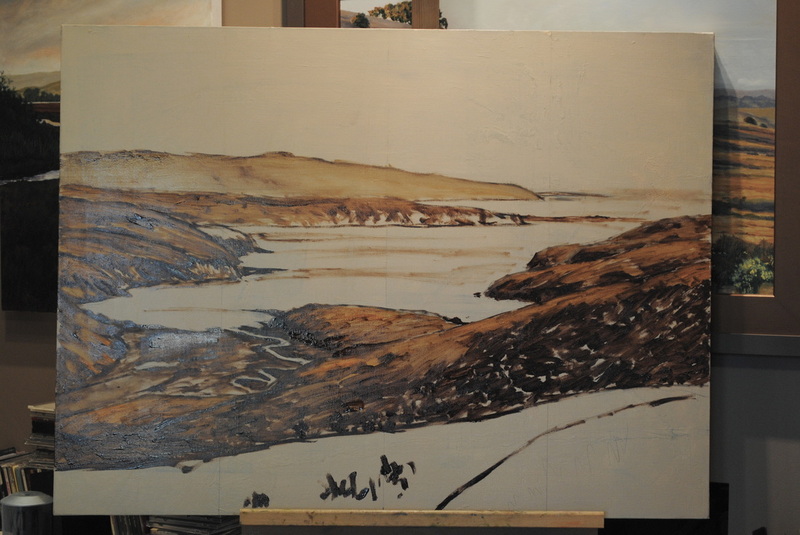 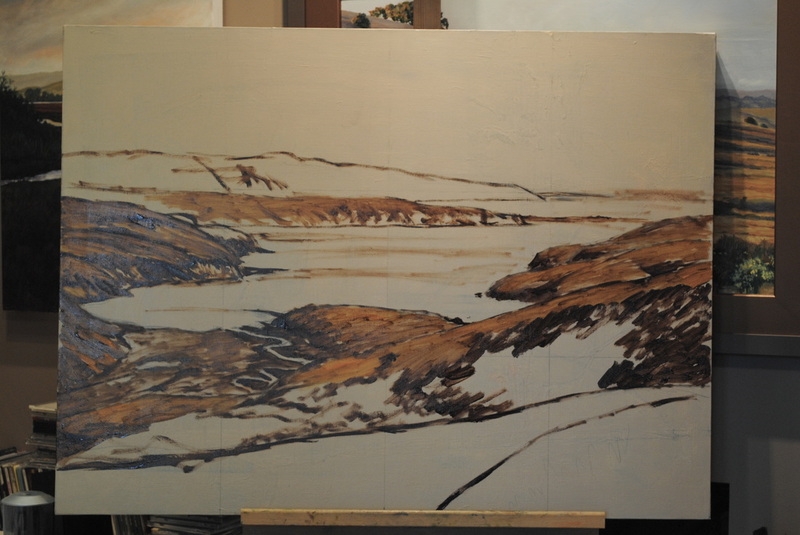 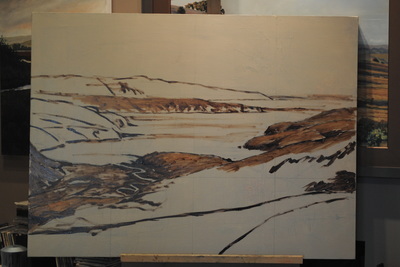 On the left is the completed oil painting of Drakes Bay in Point Reyes, California. 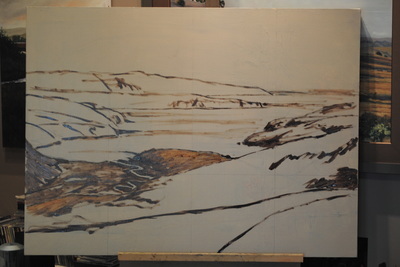 Below is a slide show of 50 photos I took during its progress to demonstrate the process of creation. One thing I hope to show is just how many decisions an artist must make to realize his or her vision. There were some fairly major alterations as the painting emerged. For instance, the foreground was bothering me, so I decided to "import" an element from a different painting. Other changes are less obvious, but they reveal that the artist has complete freedom. 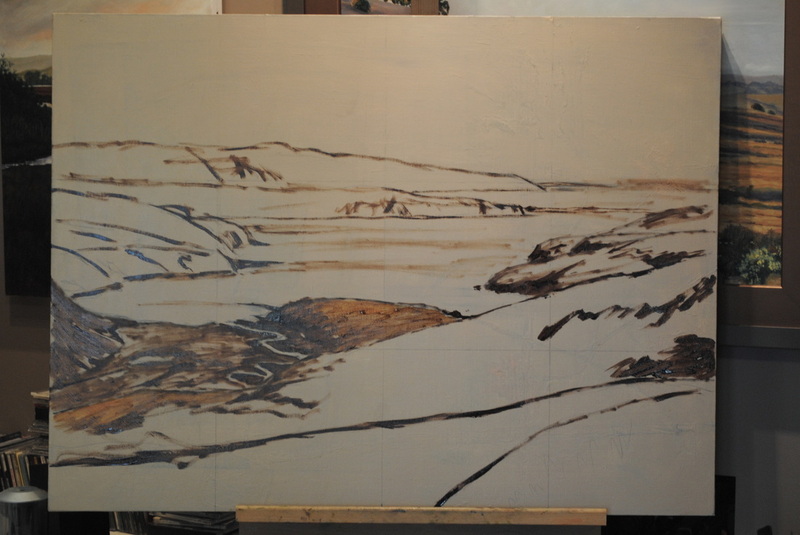 Any change that makes the artist happy, is the right one. My goal is to have all the elements work as a harmonious whole, and to keep the viewer's eye engaged and excited. 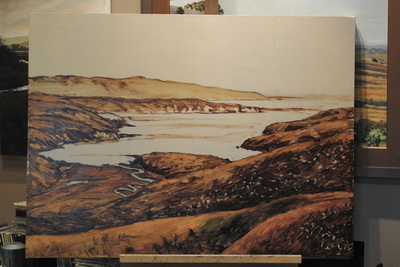 Hover over the large image below. 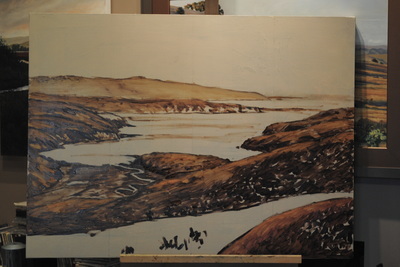 Slideshow controls will appear.